Not Pulled From Packs: Minnesota Sports Holiday Show Part 7: Caleb Truax Autographed 8x10, Plus a Title Belt Photo! 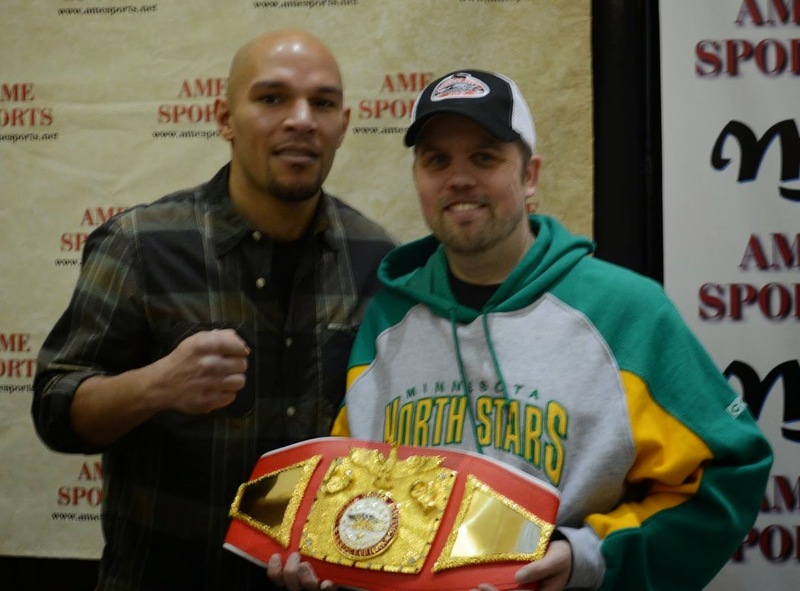 Minnesota Sports Holiday Show Part 7: Caleb Truax Autographed 8x10, Plus a Title Belt Photo! I'm not the biggest boxing fan in the world, but I still had a very cool interaction with boxer Caleb Truax at December's Minnesota Sports Holiday Show. He signed this 8x10 for me, and even inscribed his won/loss record along with the signature. Truax is a native of Osseo, MN, and has a Sociology degree from the University of Minnesota. He made his professional boxing debut in 2007 with a second-round knockout of Ray Walker. His most recent fight was a TKO victory over Scott Sigmon. 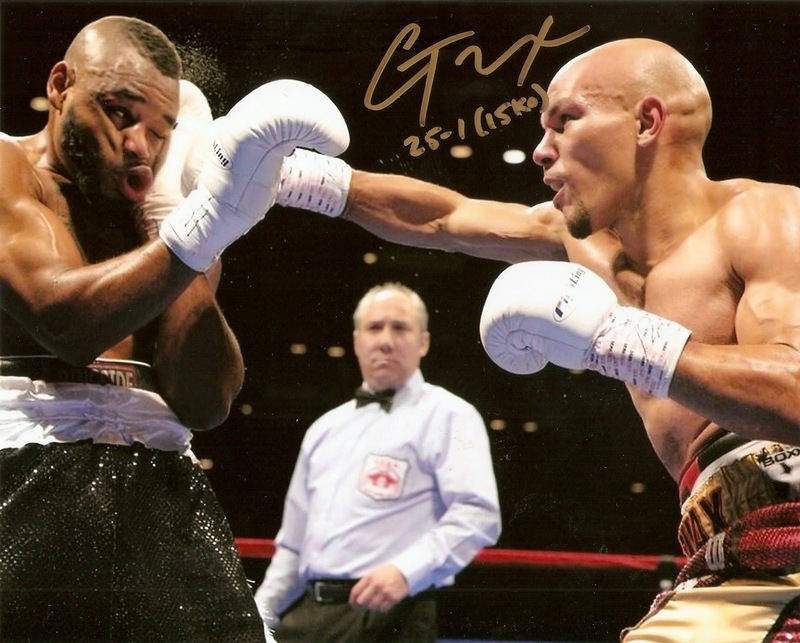 On September 21, 2013, Truax became the United States Boxing Association Middleweight Champion, when he scored a TKO victory over Cerresso Fort. Truax brought the title with him to the show, and luckily, he allowed everyone to take pictures with it. I wasn't sure if it was proper for me to hold it, and didn't want to disrespect the title by it being held by somebody who didn't win it, but he assured me that it was ok. It's a great picture, and it's about the closest I'll ever get to a piece of hardware like that.